The Korean name for the Dorim-dong Sports Park literally means 'athletic facilities in a lagoon'. Interesting, huh? Wow your friends with that tidbit of knowledge after sinking the game-winning shot on the basketball court. 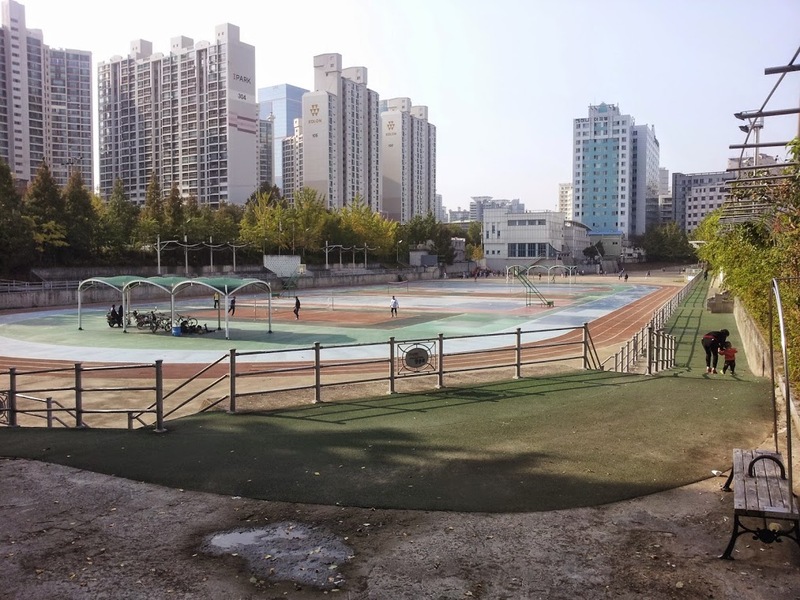 Dorim-dong Sports Park is a spacious park with a few athletic facilities. 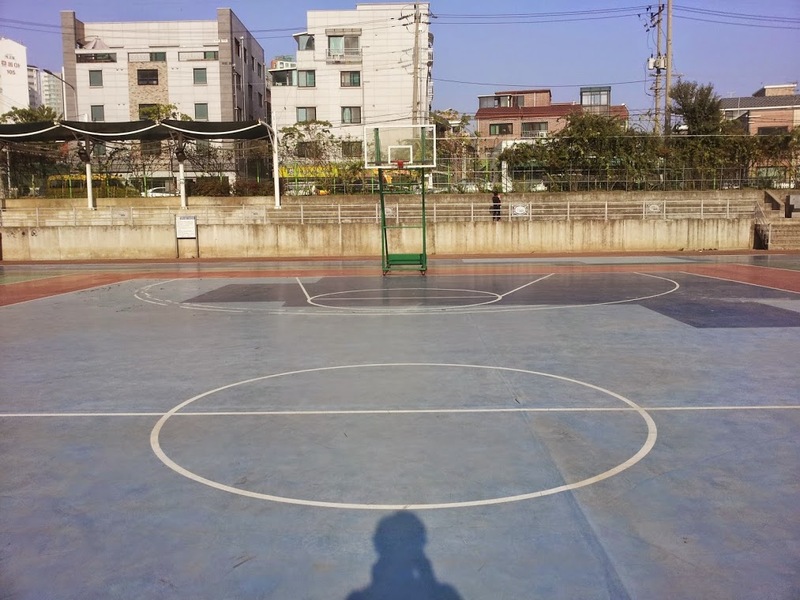 The basketball court is full-court but slightly smaller than regulation size. It would be more suited for 4-on-4 games than the traditional 5-on-5. 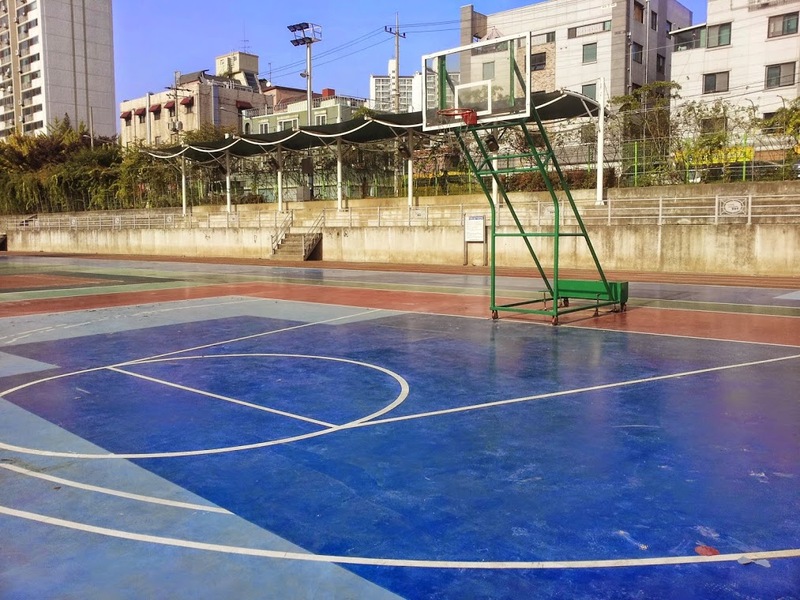 Korean basketball has no other than Green Top. The surface is a little slick. It is somewhat like a Korean style bathroom floor. It should be treated with caution and respect. 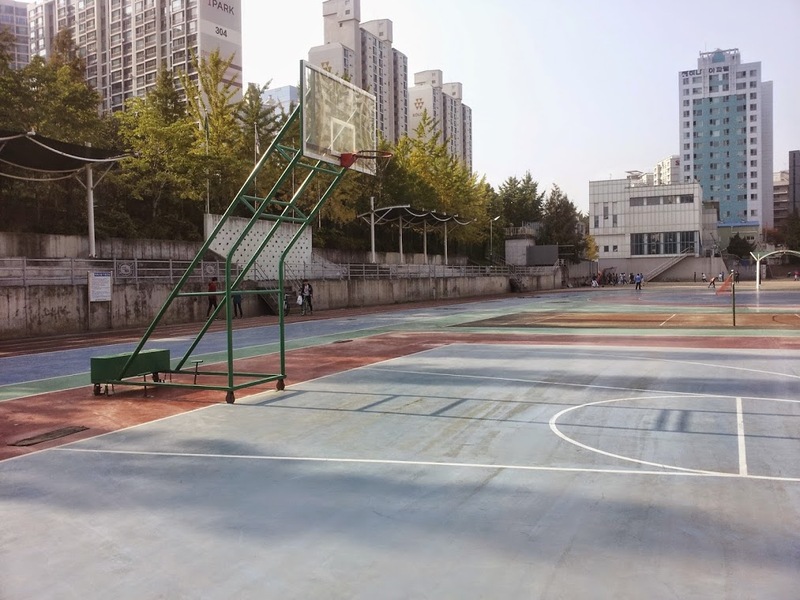 If you are looking for a basketball court to have a game among friends with few distractions, this is your place. It is not a popular place for impromptu pick-up games. If you are looking for a basketball court to have a shoot-around session with few distractions, this is your place. It is not a popular place for impromptu pick-up games. The rims are not 10 foot tall. They are about a foot lower. If you are looking for a lively spot with pick-up games, this is not it. Pick up your stuff and go elsewhere. These courts are not close to a subway station. The location is quite unique. The sports park sits in a depression in the ground (hence the name - 'lagoon'). There are water fountains and bathrooms nearby. Use your eyes and you should be able to locate both. 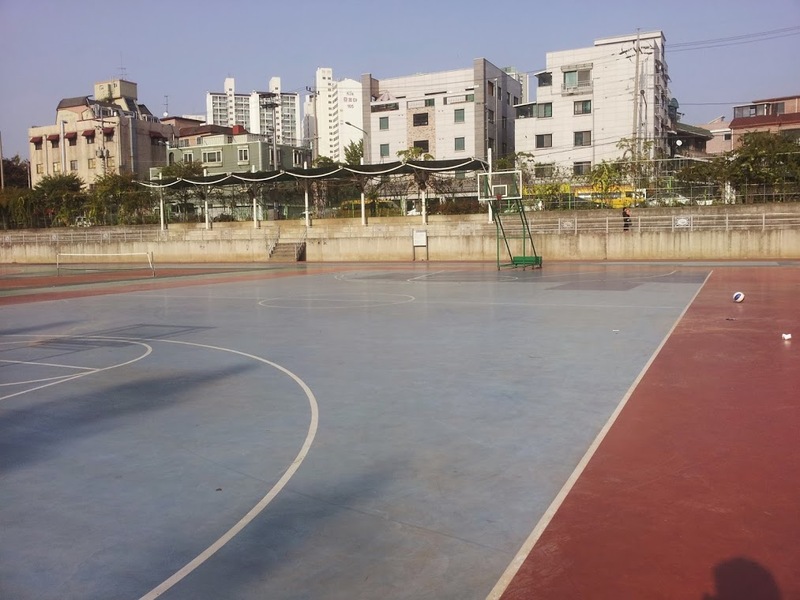 To see more photos of Dorim-dong Sports Park's basketball courts, please visit our Google photo album. -Walk straight out of exit 2. Turn left at the first intersection you come to. Cross the stream and continue straight past 3-way intersections. At the first 4-way intersection you come to, turn right down a small street. Continue straight. Dorim-dong Sports Park will appear on your left.